Craftlines is distributor of hobby articles with focus on the segments paper crafts and coloring. Craftlines is based in Uithoorn, The Netherlands. 1.2 For which countries is Craftlines a supplier? The main focus is Europe including the United Kingdom. Craftlines will deliver to all other countries outside this area as well. 1.3 Can anyone become a Craftlines customer? Our customer register is exclusively reserved for companies who are registered with the Chamber of Commerce and who possess a VAT number. Moreover, the company must be active in the hobby & craft industry. 1.4 What makes Craftlines different from other wholesalers? Choice of 2 distinct segments: Paper and Paint. A carefully selected assortment where innovative products are paramount. An advanced webshop with comprehensive product-related information. 30 Years’ experience in the hobby & craft branch. 1.5 I'm interested in your products and would like to become a customer. How do I go about it? Fill in your details and then click on “Register”. 1.6 How do I contact a staff member at Craftlines? Submit your question using the contact form (on the right hand side of this page). Or call us at +31 (0) 297 522 533. Customers can also utilize the ticket system located in the back office of our webshop. 1.7 I have devised a very innovative and creative product. Would Craftlines be interested? The answer to this question is a resounding YES ! 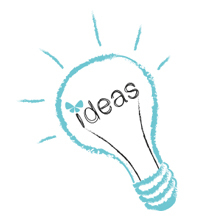 We welcome contact with individuals and companies who conceive very innovative and creative products. Also if you are a supplier and/or manufacturer of a new or existing hobby brand we are open for discussions.